Tuesday, Wednesday, Thursdays 5:30 p.m. to 10 p.m.
Friday and Saturdays 5:30 p.m. to 11 p.m. Parking lot opens at 4:30 p.m. Please enter through Gate 6 off State Fair Boulevard. Admission tickets can be purchased beginning at 5:30 p.m. Ticket sales and admission end one hour prior to close. The festival is open rain or shine. Performances may be canceled due to rain or inclement weather. No rain checks will be issued in the case of cancellation. A Springtime feast of lights and color with 30 amazing walk through displays. Thousands of brightly lit LED lanterns arrayed along a walkway will delight and entertain. Enjoy live stage performances Sundays, Tuesdays, Wednesdays and Thursdays 6:30 and 8:30 p.m.; Fridays and Saturdays at 7 and 9 p.m.
Groups of 25 or more $14.92 each. Cash discount price: $12.50 each ticket. Senior Groups of 25 or more $14.37 each. Cash discount price: $12.00 each ticket. Please email us after you purchase group rate tickets at events@advancemediany.com to let us know about your group. Senior Groups of 25 or more $14.68 each. Special Day At the Gate Discounts $2.00 Off – tickets must be purchased at the gate. Cash or credit card. Stroll along a meandering path surrounded by unique works of art that light up the night. As the days get longer, this colorful Chinese Festival will open the five-acre New York Experience Festival Park at the New York State Fairgrounds, from April 14 to June 24. The Chinese Lantern Festival will be open every day but Mondays, starting at 5:30 p.m., and include two 30-minute entertainment performances at Sundays, Tuesdays, Wednesdays and Thursdays 6:30 and 8:30 p.m.; Fridays and Saturdays at 7 and 9 p.m. focusing on Chinese culture. The daily entertainment will feature Chinese dancers, acrobats, face changers, musicians and singers. Food and drink will be available as well as demonstrations of Chinese traditional crafts including palm weaving, edible sugar dragons and Chinese paintings of visitors’ names. 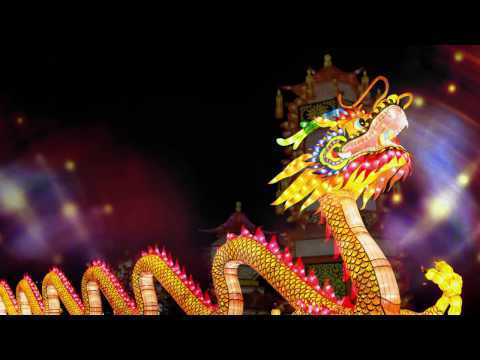 Lantern festivals are a Chinese tradition that are often held to mark the end of the Chinese New Year. Thousands of brightly lit lanterns will be on display along a walkway designed delight and entertain. 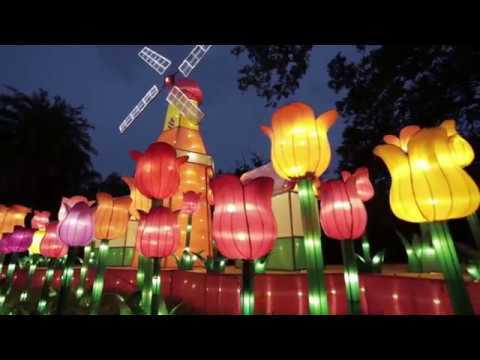 These unique illuminations will be created in China for the event, then assembled into vibrant displays of animals, flowers, Springtime and Chinese symbols. The entire display takes about four weeks to assemble. All visitors must adhere to the Rules of Conduct of the New York State Fairgrounds. 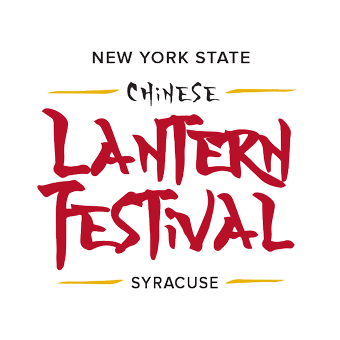 OR CALL (315) 479-7000 and mention "Lantern Festival"
Connect with NYS Chinese Lantern Festival!